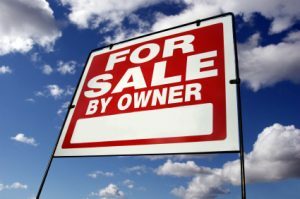 For Sale by Owner or “FSBO” transactions are often seen in a seller’s market, where homeowners want to profit as much as possible without having to pay a commission. Sounds like a SWEET Deal Doesn’t It? But Is It Really?? Research shows utilizing a professional real estate agent will get you a higher profit, generally enough to cover the commission as well as put more money in your bank account. Sounds Good Doesn’t it? According to the National Association of Realtors 2016, there is an average difference of $60,000 between the average FSBO and agent represented home. WOW, what would you do with an extra $60,000? Here are Some of Our top Reasons Why FSBO May Be More of a Headache than You Think! You Post and Sell Things Online~ Meet them at the Local Police Station or Walgreens to make the transaction. YET, you are willing to let perfect strangers in your house? YIKES! A professional realtor not only accompanies his/her clients to the showings, we screen our buyers ensuring your home will be shown to qualified buyers. Saving you time and energy from showing your home to under-qualified or unscrupulous buyers, as well as noisy neighbors. Posting An Ad Online and Marketing Your Home may not be as easy as you think For Sale by Owner will need more than just a sign out front of your home. Picking what online marketing is confusing and tricky to say the least. A professional realtor has access to a multiple listing service that reaches all area agents, search engines that allow specific criteria, and links to hundreds of websites. In order for a private owner to accomplish that amount of wide spread exposure would cost him/her far more than the commission they were trying to save. Spending Too Much to Bring Curb Appeal! A home owner has a hard time viewing his/her home objectively. An over grown lawn, broke down mailbox or That Bright Purple Wall with Orange Stripes may be a declaration to your favorite team; however, to a buyer it may be just enough for them to move on the next home. On the other hand, you might end up investing far more money than is needed. You are convinced your 20 year old kitchen needs a complete overhaul a cost of approximately $50,000. Instead, an experienced agent may recommend an $8,000 investment for paint, staging, and minor repairs, which can still net $45,000 above a targeted price. Your professional real estate agent has an eye for detail and can recommend simple, budget-conscious swaps that can translate into real dollars when it comes negotiation time. A Real Estate Professional knows how to get the most bang for your buck. Preparing your own paperwork can be frustrating! Unless you have a background in contracts or law, you might want to leave the paperwork to the pros. A sales contract can consist of up to 12 pages of legal interpretation, then the closing documents can be 20 or more! A home owner could open him/herself up to lawsuits by not knowing state requirements. For example, houses set inside a Property Owners Association, Like Rainbow Springs, Require a Comprehensive Rider and Disclosures; houses built before 1978 require an addendum regarding lead-based paint and some states need a release confirming the presence of carbon monoxide detectors. How an agent can help: Your agent will take care of all property disclosures and corresponding documentation to avoid future liability. As well as walk hand in hand with you step by step through the entire process making sure you are content and covered. 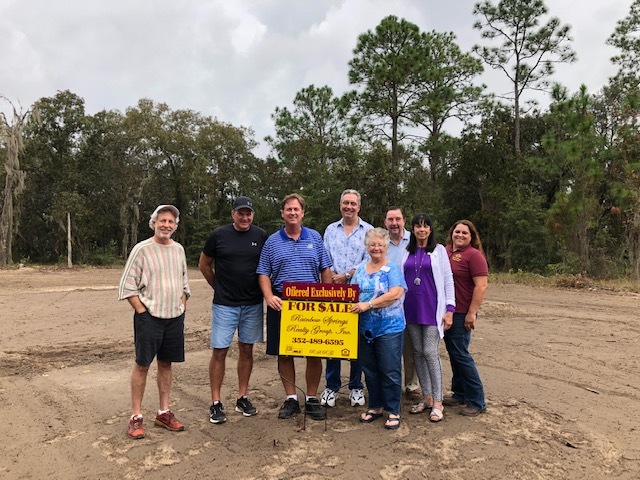 The Annual Jazz Up Dunnellon Music Festival Is Slated for October 20, 2018 From 3-9 PM! 10 Stages will Line the downtown Streets of Dunnellon showcasing Jazz, Country, Rock, Blues & Classic Genres! Something For Everybody to Enjoy! 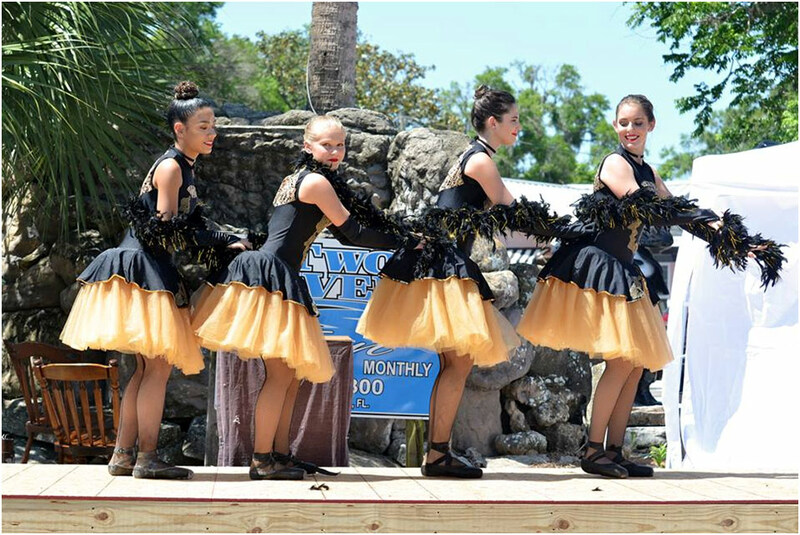 It’s Always A Fun Filled Family Event With Food Vendors, Sponsors, The Best Entertainment Around! Whether you are for or against the proposed country club refurbishing, everyone can certainly agree it has stirred up some emotions in this nostalgic nature hub. As the local real estate center, we can honestly say that the main grievance we have heard from our clients that are looking to sell and move elsewhere is “there aren’t enough activities around here.” Sure we live in Mother Nature’s playground, but there is also a niche that needs to be filled that only a community center can do. To round out the top objections to we hear are “What is that monstrosity of weeds across the street?” and “what do you mean my property has lost that much value, we paid x and it is only worth x?? II How can that be?” Mr. Jim Gissy has proposed a plan to ease all of this discontentment and offer us a Once in A Lifetime Opportunity to flourish once again! If voted in, his plan would swiftly take action starting in July of 2018 and include Refurbishing the Old Rainbow Springs Country Club, Pool, Converting the Tennis Courts to Pickle Ball Courts, and RV! Boat Storage I The Community Center would house the POA and once again host Classes including but not limited to line dancing, art, yoga, and ceramics, Social & Community Events, Parties, Meetings, Games, and so much more. If you aren’t interested in social activities and getting to know your neighbors, then the sheer fact that the most important investment you’ve made, your home, will see a 3-5% increase in value. Comparing Rainbow Springs Home Values to those in other like neighborhoods, we have had a net loss of home value from 4-9%1 Wouldn’t it be great to get some of that back? There will always be a multitude of opinions on matters like these, but if you would like to see the work of Mr. Jim Gissy, please stop by our office on the hill! He is our landlord. Everyone that walks into our front door, is awe inspired by the quality and beauty that we have the privilege of working in everyday, thanks to Mr. Gissy. 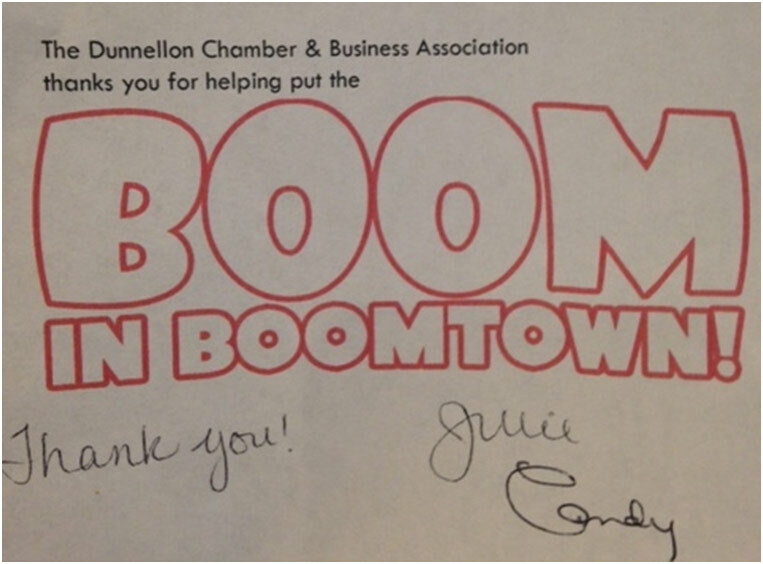 We can attest to his word and honor as a business man and pillar of our community. We respect your decision and your vote, but ask you to consider all sides! If you have any questions prior to voting, please contact our sales office at 352-489-6595 and we would be happy to answer all your questions! Remember, we don’t just sell here, we LIVE here!! 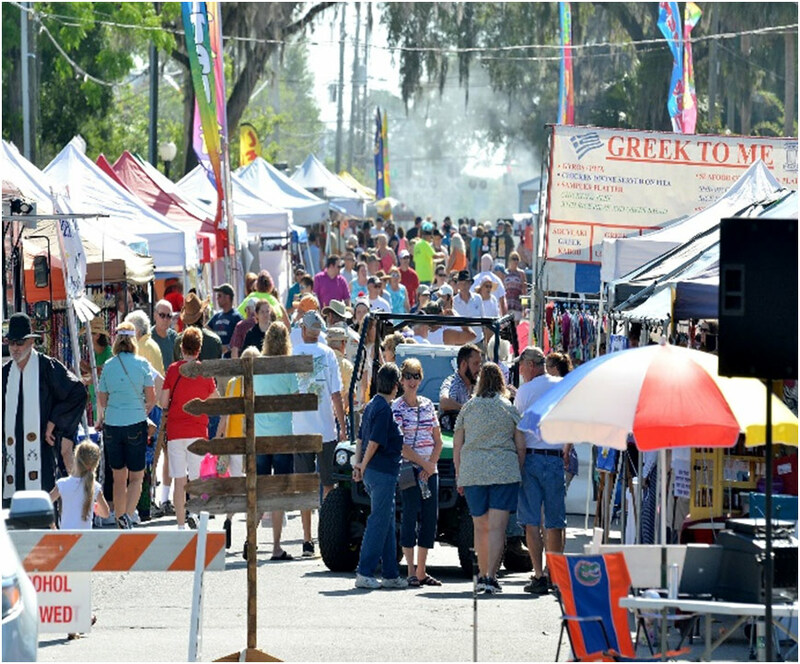 Every year thousands flock to downtown Dunnellon for a taste of Music, Fun, and All That Small Town living has to offer! Our very own Keith Caton, (Broker-Owner) makes regular appearances on the stage!